Crack the Champagne and call on Neptune, after months of planning and a long voyage all the way from the USA, we finally took delivery of our new 32′ World Cat! Filmed by Stu Gibson & Beau Blake. The “Cobalt” is named after the deep blue Pacific Ocean waters she’ll be cruising upon and we adorned the bow with the beautiful Ika Vuka (flying fish) because this World Cat 320CC really flies! With a cruising speed of 20knt and a top speed of over 40knt, this is a modern catamaran hull designed for a comfortable, fast and stable ride with twin 300hp outboards and all the latest electronics. Plus we have included all our favourite Shimano fishing gear and even some Yeti coolers to keep the fish fresh and the beers icy cold. There’s nothing quite as exciting, daunting and satisfying as boat shopping. It’s not something you get to do very often, even as a resort with a whole fleet of boats! The research, the planning, the logistics of bringing such an item so far…. So despite what the negative set might say (“there’s only two days when you love your boat – the day you buy it and the day you sell it”) we are so excited to have this beauty on the water and offer it as our luxury charter vessel. 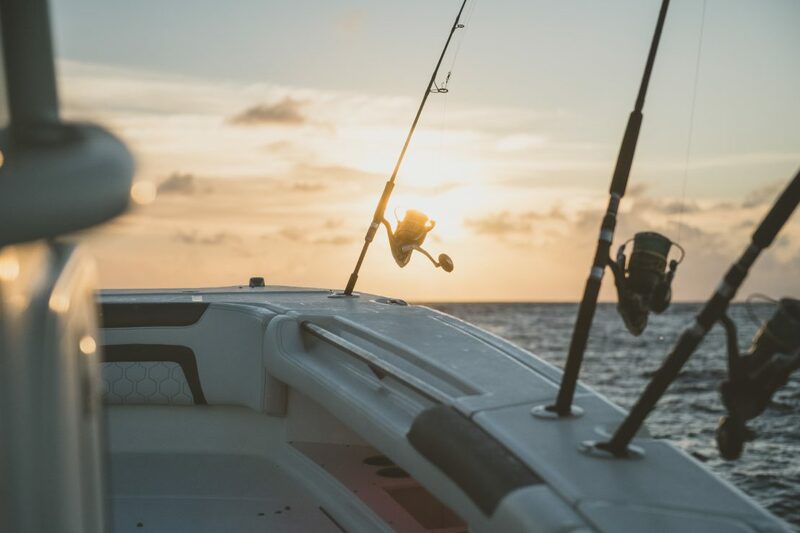 And it’s not just for fishing – the whole family will be comfortable aboard the Cobalt with cushioned seats, head and plenty of space to move around. We have included all our favourite Shimano fishing gear and even some Yeti coolers to keep the fish fresh and the beers icy cold. 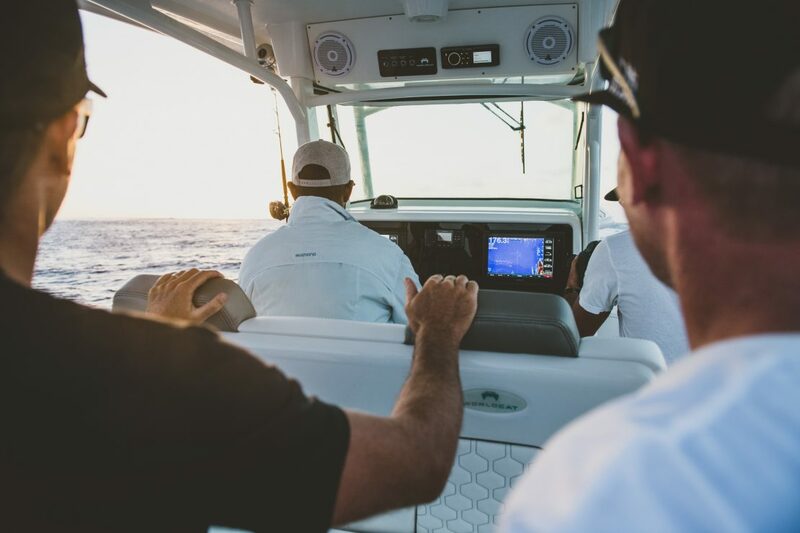 The Cobalt has the latest electronics and safety equipment plus is always skippered by an experienced Fijian captain. 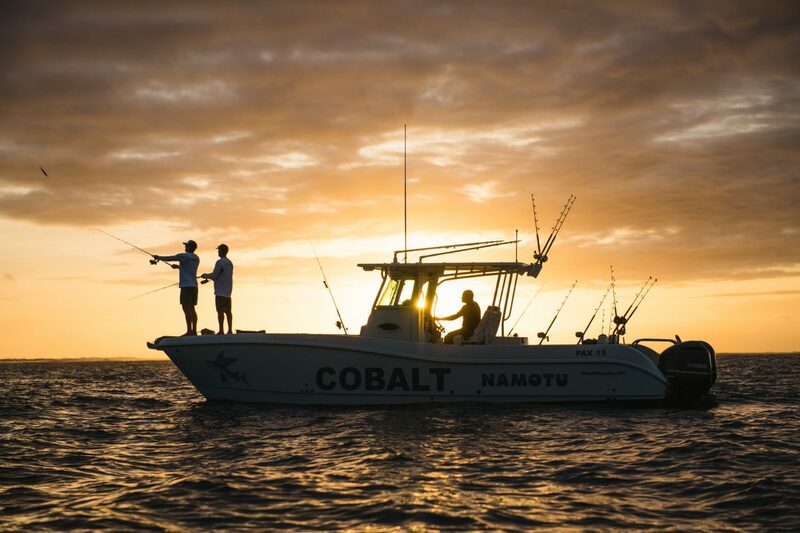 Catering for 1-6 people, charter the Cobalt for fishing trips, day trips to other islands, surf explorations or as your private transfer. The vessel, its Fijian captain and its dedicated guide (if desired) are yours to explore the Mamanuca Islands. Let us handle preparing and cleaning the vessel, filleting fish, providing lunch and drinks and navigating tides and conditions. Stocked with the best Shimano fishing gear and guided by an experienced fisherman. 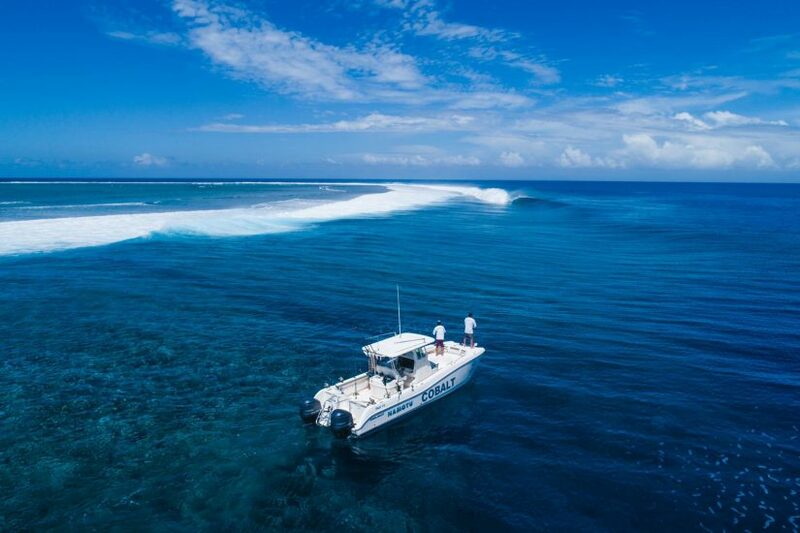 Find out more about our fishing and surf charters and don’t forget, they’re open to anyone, not just Namotu guests.